WIX oil filters hold more than 45 Percent more dirt than the leading national brand. We could stop here, but we’re sure you want to know why. Oil filter effectiveness is measured three ways: particle size retention (filtration efficiency), dirt-holding capacity, and resistance to flow. WIX has developed optimum particle size retention quality in filter media through extensive engine wear tests in the real world, at the race track and in the lab. In fact, WIX media in automotive full-flow oil filters traps and holds essentially all particles larger than 25 Microns (a human hair is roughly 70 Microns in diameter), while capturing a high Percentage of even smaller particles. 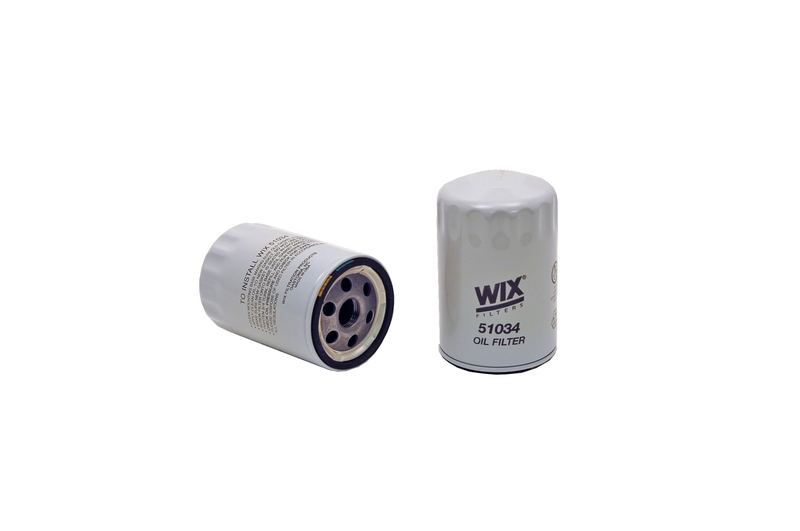 The dirt-holding capacity of WIX filters is significantly larger than the minimum manufacturer requirements between oil changes, which provides you with added security that contaminants captured by the filter stay in the filter. All WIX full-flow oil filters for automotive and light truck applications use arch-pleated, prescription-blended media, which provides low initial restriction to oil flow – less than 2 PSI pressure drop when filtering oil at a rate of 4 Gallons Per Minute at normal operating temperatures.